I had often admired the exterior of this Victorian gem, when visiting the city of Philadelphia. Its iconic Broad Street façade is so dramatic with the mansard roof and gorgeous rusty coloring. 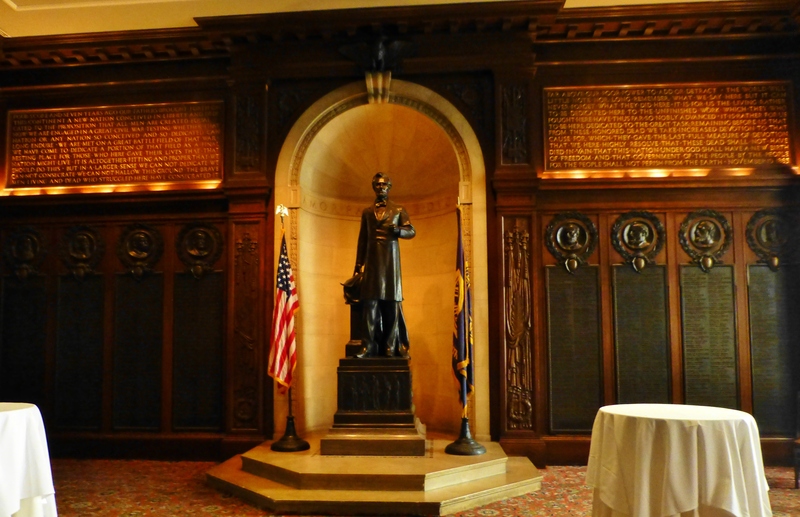 The Union League of Philadelphia is an exclusive private club that dates back to the 1860’s. 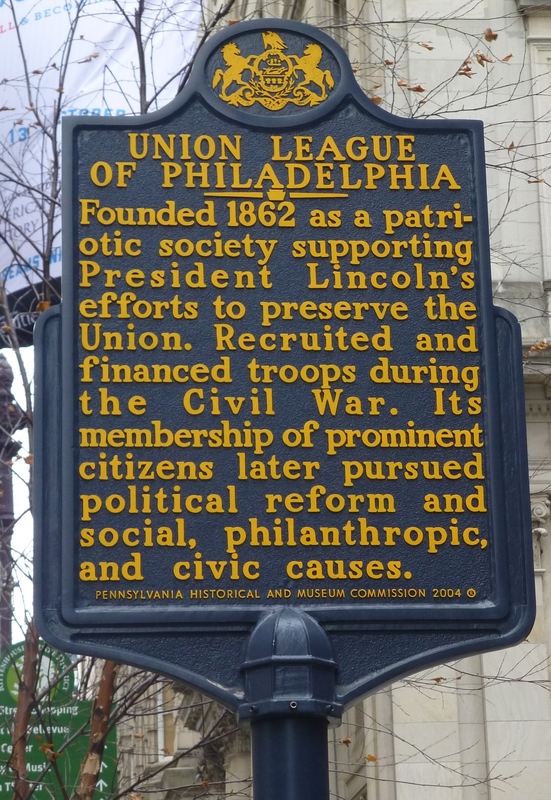 It was founded as a patriotic society to support the policies of President Abraham Lincoln. Back in the 1800s there were many Union Leagues, but now this club is one of three such organizations in the United States. The League has hosted U.S. presidents, heads of state, industrialists, entertainers and dignitaries from around the globe—and now ME. Yay!! It was a delight to visit this fantastic historic site with my Questers group (look for more info about Questers in an upcoming post). Once inside, the treasures await. Many presidents have walked these stairs during the past 152 years. It gave me a chill to have the opportunity of walking up them myself! Priceless American treasures fill every nook and cranny. 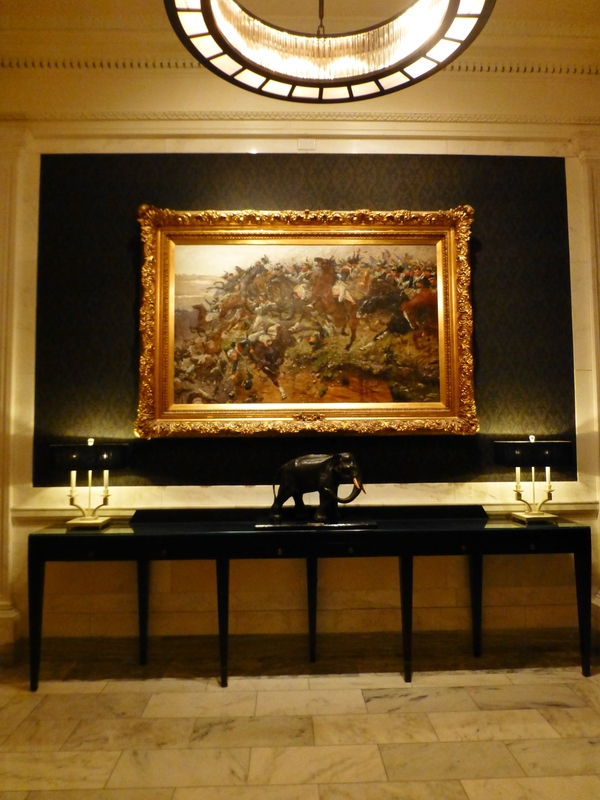 Amazing paintings, often depicting military scenes, fill the walls in every room and hallway. This one is outside of a more modern dining room. There are so many ballrooms, chock full of glorious portraits, paintings, sculptures and furnishings. 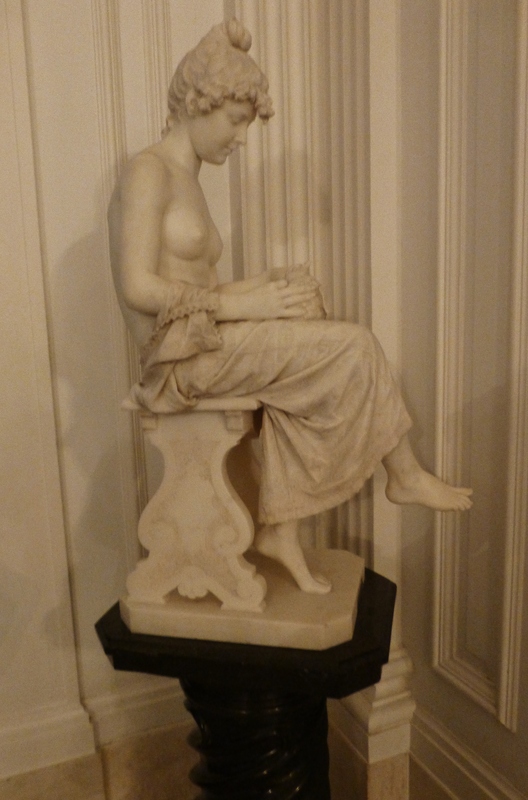 An amazing carved marble statue in the main hallway at The Union League. The draping of the fabric was so realistic! Another amazing statue, this time outside of the library at The Union League. Rich leather, patinated wood, and polished marble delight the eyes. 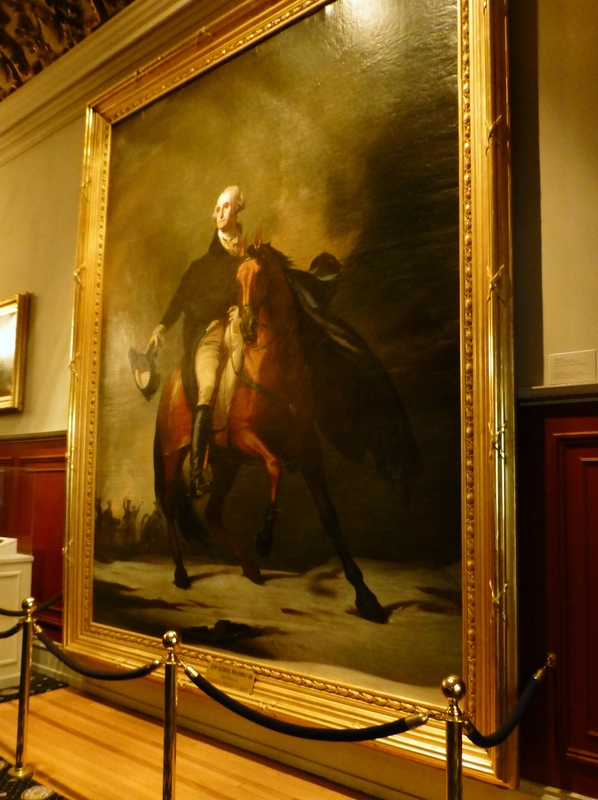 A GIANT painting of George Washington graces the upstairs hall landing. The frame is so beautiful! Many, many presidential portraits ring the walls of the presidential gallery (nearly all are Republicans–as this is a predominantly Republican institution). 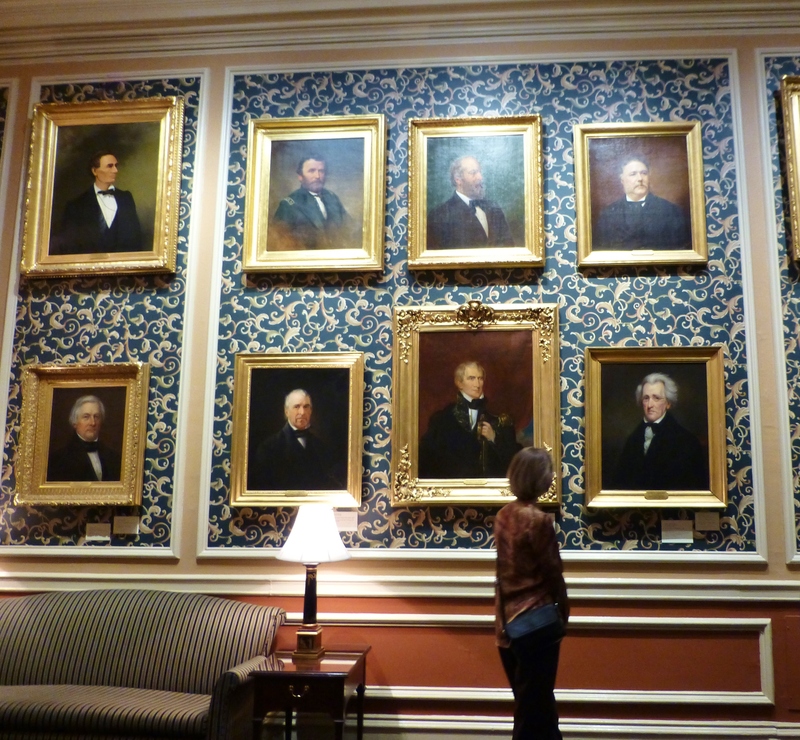 Portraits were commissioned by the Union League of many Republican presidents. 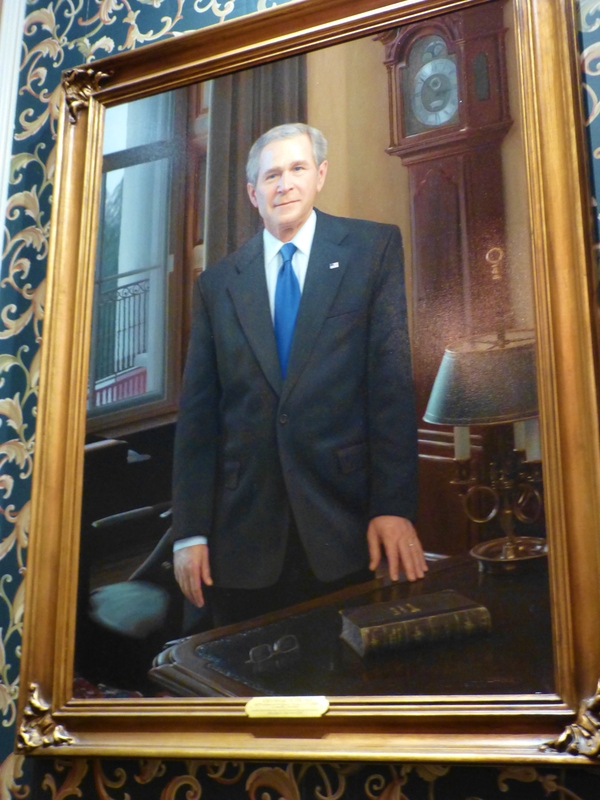 This portrait of President Bush hangs over the mantel in the U.S. President’s gallery. It is unbelievably life-like and looks like a photograph! 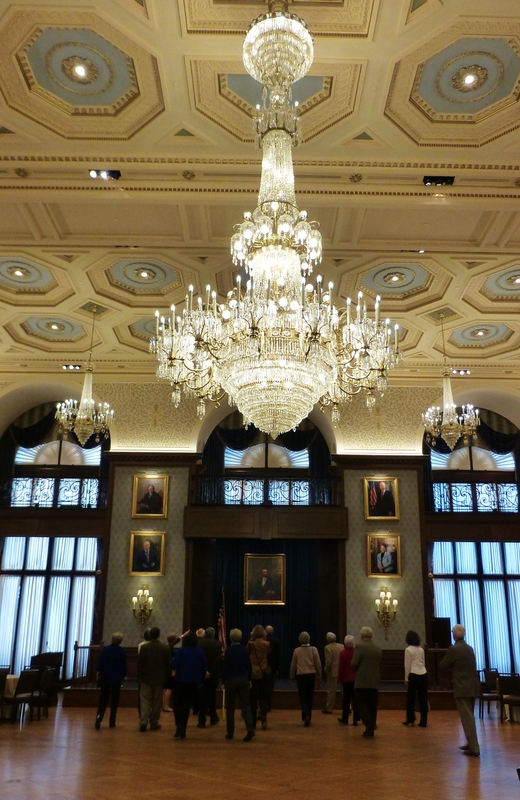 The monumental chandelier in this room almost distracts from the paintings of past club presidents that hang nearly to the ceiling. A small dark-paneled library has a statue of Abraham Lincoln and the Gettysburg Address carved into the woodwork and gilded. 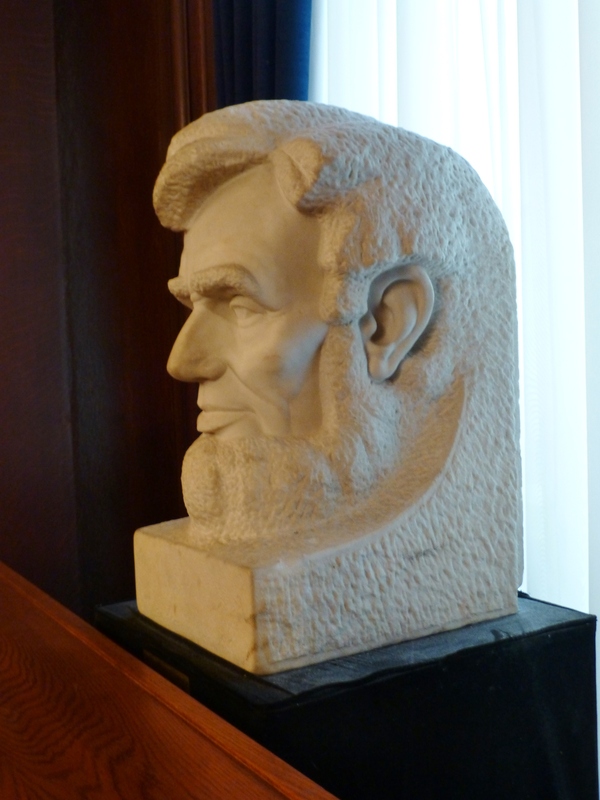 One of many carvings, busts, and statues of Abraham Lincoln. This one was rather unusual. 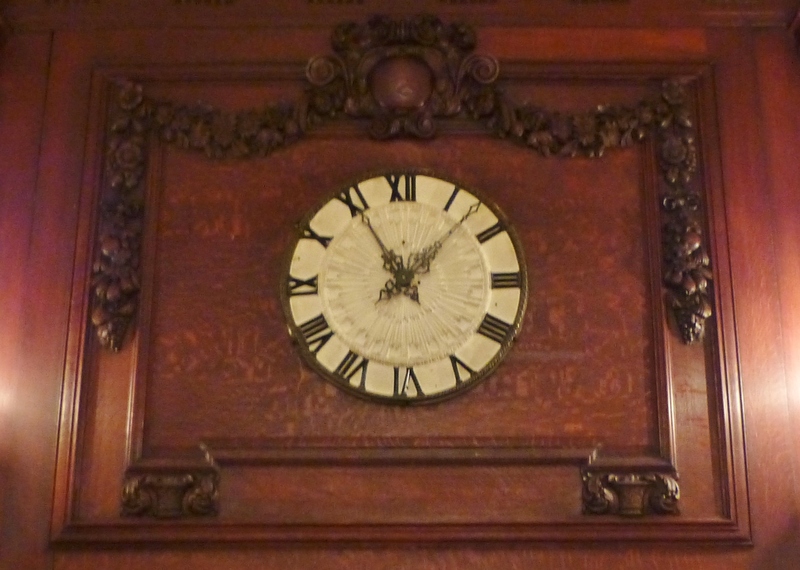 I loved this glorious clock set into the paneled fireplace surround in one of the ballrooms. Inside the League there’s also a 25,000+ volume library. There are choices of traditional and modern dining facilities for members’ enjoyment and a fantastic smoking lounge for cigar aficionados. The League occupies an entire city block in the center of Philadelphia’s commercial and cultural district. It’s approximately one-quarter million square feet in size and is spread out over eight floors with entrances on all sides. What a pleasure it was to get an exclusive, private tour of this amazing collection! I get so much inspiration for my work from visiting beautiful historic places like this. 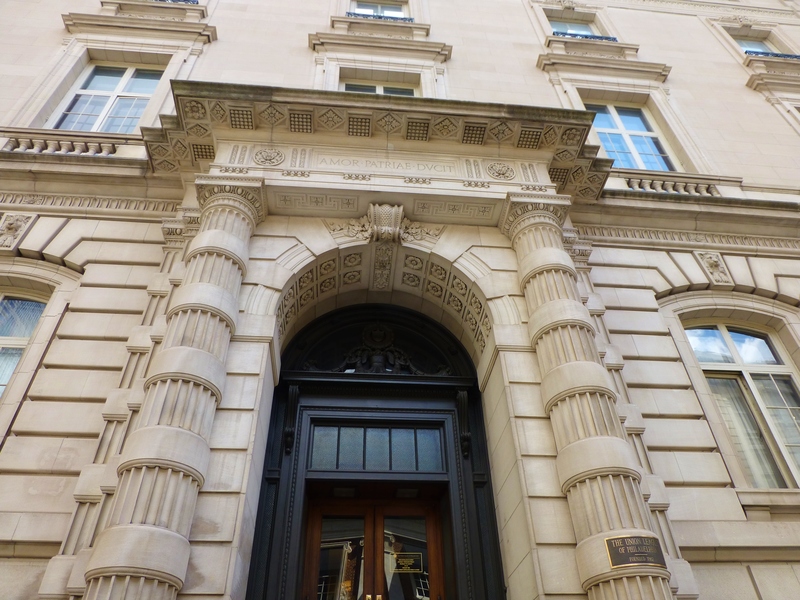 The rear façade of The Union League. All of the photographs seen here were taken by me on March 15th, 2014. 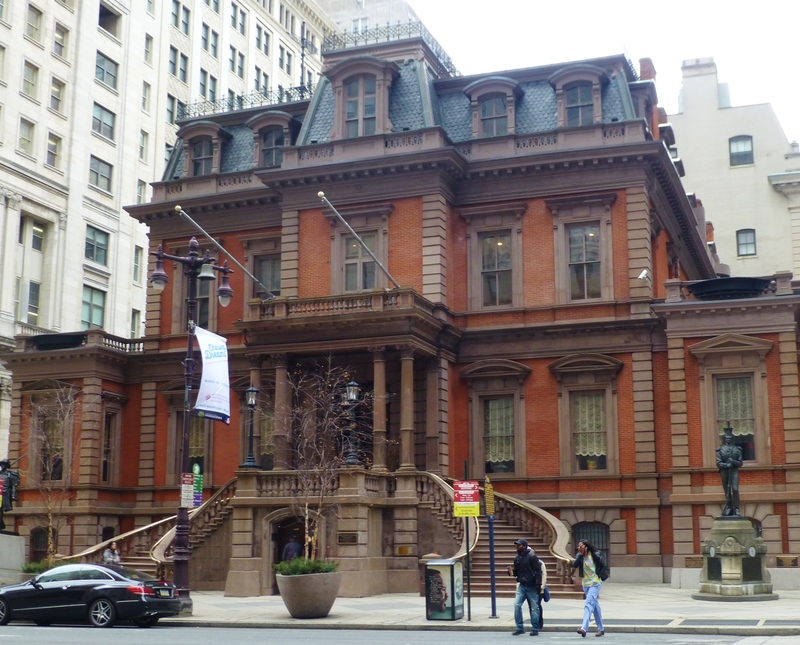 Make sure you take the time to post a comment here and let me know what you think about The Union League. Isn’t it fantastic? 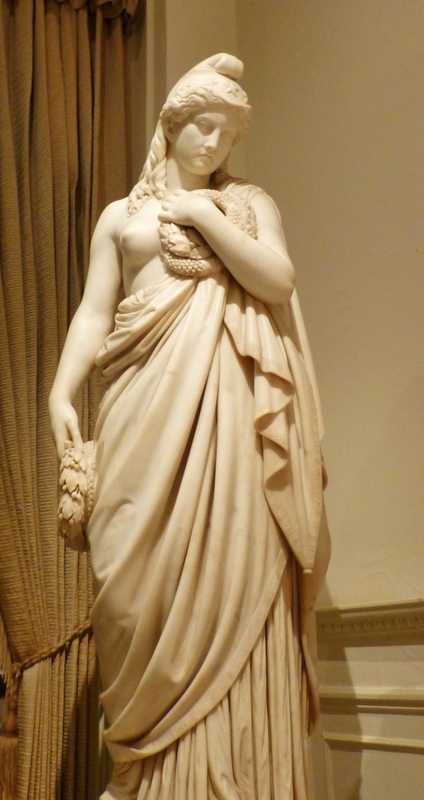 This entry was posted in Antiques, Historic Sites, Interior Design, Pennsylvania, Presidents, The Union League, Uncategorized and tagged Antiques, artwork, Decorating, Furniture, Philadelphia, Portraits, Republican, Sculpture. Bookmark the permalink. 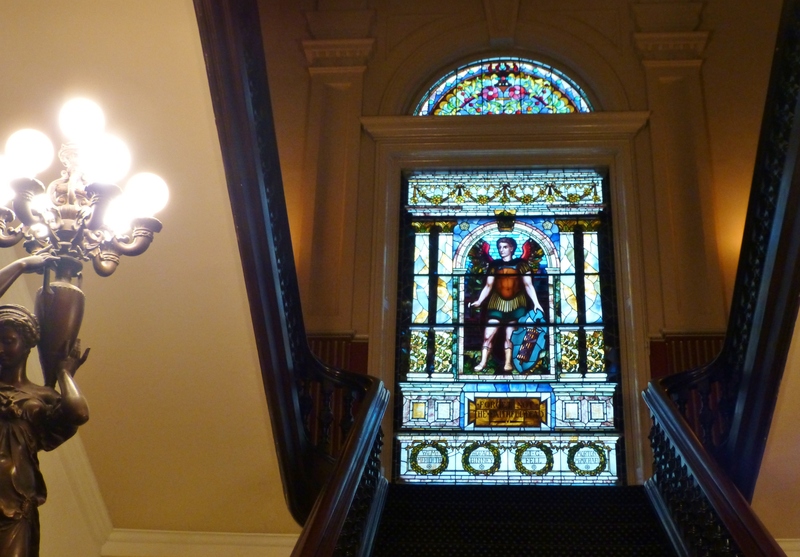 I also admired the building for many years and wondered what it looked like inside. It is beautiful. Thanks for the tour.